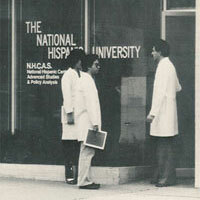 The National Hispanic University officially closed on August 23, 2015, after a 35-year history of providing greater access to education for Hispanics and other underserved groups. Use the resources below to find information on student records, account payments, transcripts, and other general inquiries. For information regarding transcripts, diplomas/certificates and verification letters, please contact nhuregistrar@nhu.edu. For information regarding student loans, please contact finaid@nhu.edu. For information regarding invoices and outstanding payments or to make a payment, please contact bursar@nhu.edu. Please contact onlinesupport@nhu.edu or call 1-877-762-9801. For information on the Foundation For Hispanic Education and its collaborations, please call 1-408-729-2281. To enable Hispanics, other minorities, women, and others to acquire an undergraduate degree or certificate using a multicultural educational experience to obtain a professional career in business, education, or technology. In 1990, NHU began community outreach with Oakland's Upward Bound program for economically disadvantaged high school youths. The following year, they established the Educational Talent Search program in San Jose, California, for middle and high school students. 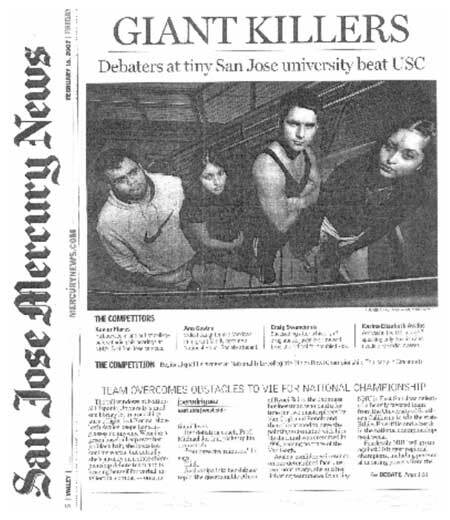 In 1995, NHU moved to an 11-acre campus in East San Jose. 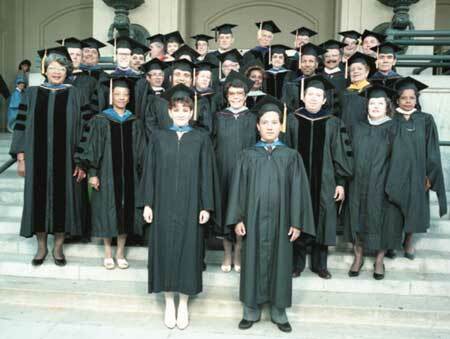 In 2002, NHU was accredited by the WASC Senior College and University Commission. 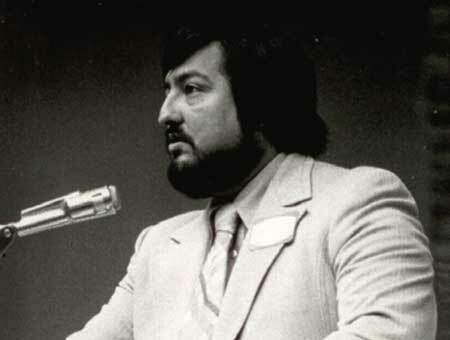 The following year, Dr. David P. Lopez was named president of the university and later named Hispanic-Net Educator of the Year in 2005. In 2009, NHU established the Early University Program, which introduced high school students to the college experience. After joining the Laureate International Universities network in 2010, it began to add online courses, concentrations, and degree programs in education and business. The National Hispanic University (NHU) is founded in Oakland, Calif., based on the belief that a private, independent college can make a difference in the success of Hispanic professionals in the fields of education, technology, and business. The work of the Bay Area Bilingual Education League (BABEL), directed by Dr. B. Roberto Cruz, the founding president of NHU, establishes the foundation for the university’s learning structure. Dr. Cruz presents at the American Association of Higher Education Conference in New York on the learning needs of Hispanics and the importance of developing academic support systems as well as Hispanic students’ need for role models. NHU establishes Oakland’s Upward Bound program for economically disadvantaged high school youths. The university establishes a campus in San José. NHU launches a Translation and Interpretation certificate program for English and Spanish speakers. The university establishes the Educational Talent Search program in San José to reach middle and high school students from low-income backgrounds. NHU receives the Community Service Award from the National Society of Hispanic MBAs. The Oakland campus merges with the San José campus. NHU is accredited by the Accrediting Council of Independent Colleges and Schools (ACICS). NHU is approved as a CLAD/BCLAD Teacher Credentialing Institution by the California Commission on Teacher Credentialing (CCTC) and is reapproved as a degree-granting institution by the California Department of Education. 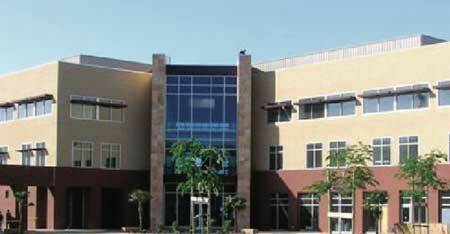 NHU relocates to a 10.8-acre campus in San José. NHU is awarded a $500,000 Endowment Challenge Grant by the U.S. Department of Education and a $400,000 general support grant by the Hearst Foundation. San José State University and NHU partner to increase the number of Hispanics attending and graduating from both universities. NHU is reaccredited by the ACICS. NHU partners with the NASA/Ames Research Center to offer education and collaborative research opportunities designed to bring more Hispanics into the aerospace and technology fields. NHU prepares more bilingual Latino teachers in Northern California than any other four-year institution. NHU receives a three-year $500,000 grant from the National Security Agency to establish a Matemáticos (Mathematicians) Pipeline Project. NHU receives approval from the CCTC to recommend qualified candidates for Multiple Subject teaching credentials. Latina congresswoman Lucille Roybal-Allard of California’s 33rd district speaks at NHU’s 15th commencement. 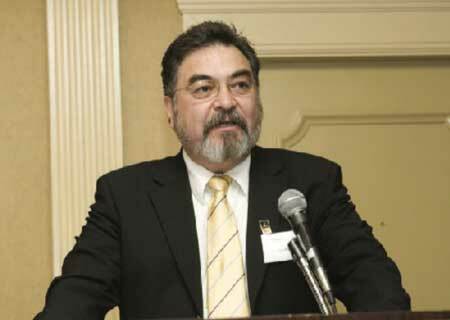 Dr. Cruz is awarded the Mario G. Obledo Award by the National Coalition of Hispanic Organizations. NHU founds the Latino College Preparatory Academy (LCPA), a bilingual charter school. NHU is accredited by the Western Association of Schools and Colleges (WASC). Dr. David P. López is named the second president of the university. Sobrato Hall, a 65,000-squarefoot building, is dedicated and opened on campus. NHU receives approval from CCTC to recommend qualifed candidates for Single Subject teaching credentials. Dr. López is named Hispanic-Net Educator of the Year. Governor Arnold Schwarzenegger appoints Dr. López to serve on the State Board of Education. NHU and Latino College Preparatory Academy host international music entertainer Carlos Santana. Dr. López is named Silicon Valley’s most in uential Latino educator by a panel of community organizations. The NHU debate team becomes the first National Undergraduate Bioethics Bowl champion. NHU and NASA’s Ames Research Center sign a memorandum of understanding (MOU) to collaborate in research and development to increase the number of Hispanics in the STEM fields. 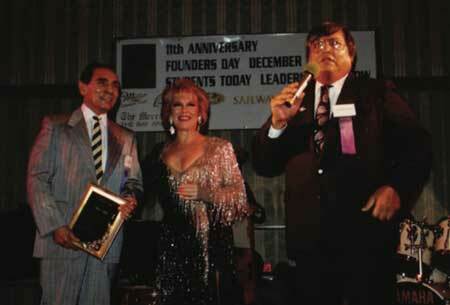 Dr. Cruz is inducted into the Mexican American Community Services Agency, Inc. (MACSA) Latino Hall of Fame. Packard Foundation awards NHU $200,000 to support the Science and Mathematics department. San José/Evergreen Community College District (SJECCD) and NHU establish an MOU to increase the number of Hispanics attending, transferring to, and graduating from SJECCD and NHU. NHU establishes the Early University Program (EUP), designed to introduce high school students to the college experience. As part of NHU’s Hispanic Heritage Month celebration, the university sponsors its rst Día de los Muertos exhibition. NHU joins the Laureate International Universities network. NHU adds bachelor’s degree concentrations and online courses in business administration and liberal studies; online courses are added to the M.A. in Education curriculum. 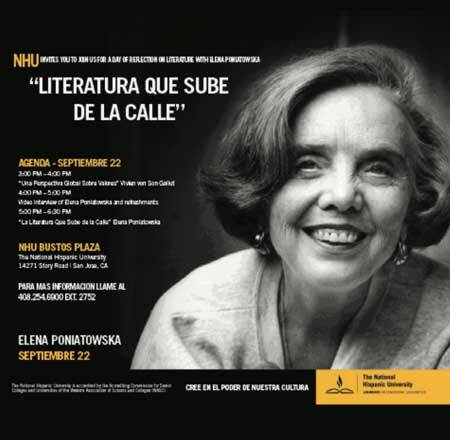 NHU welcomes two notable speakers to campus: internationally acclaimed Mexican author Elena Poniatowska and former NASA astronaut José Hernández, each of whom receive an honorary degree from the university. 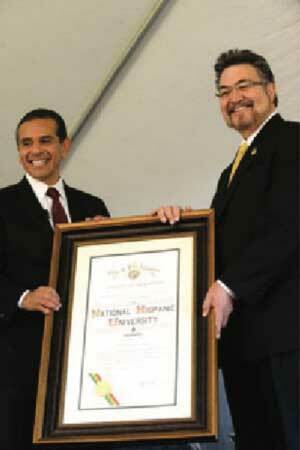 NHU celebrates 30th Anniversary; Los Angeles Mayor Antonio R. Villaraigosa speaks at February event. NHU launches first entirely online programs: M.A. in Education, B.A. in Child Development, and B.A. in Business Administration. Deborah A. Santiago, co-founder of Excelencia in Education, speaks at NHU Commencement. NHU creates Advisory Board comprised of prominent leaders from across the country including Henry Cisneros (chair), former secretary of the U.S. Department of Housing and Urban Development; Janet Murguía, president and chief executive officer of the National Council of La Raza; Cesar Conde, president of Univision Networks; Ronald Blackburn-Moreno, president and CEO of the ASPIRA association; and Nely Galán, media entrepreneur/Latina advocate. NHU adds new online programs: M.B.A., M.A. in Early Childhood, B.A. in Criminal Justice, and B.A. in Psychology. Dr. Gladys Ato is named President and Provost of NHU. Dr. David López is named Chancellor of the university. NHU holds its final commencement ceremony and officially closes. The campus will continue to provide a home for programs and services that serve the educational needs of the Hispanic community, staying true to NHU’s original vision.. In March 2014, after a deliberative review process, the NHU Board of Directors determined that NHU would cease offering programs after 2015. The board announced a range of actions to ensure that the university's vision endures and that its students could successfully complete their studies. In addition, the board put plans in place to ensure pathways to college completion for NHU students, including transfer agreements and financial assistance. The NHU Board, the NHU Foundation, and Laureate Education understand the importance of the NHU campus. True to Dr. Cruz's vision, the NHU Foundation continues to use the campus to serve the educational needs of San Jose and the broader Hispanic community. Please visit our Directory Information section for other resources and information.